Universal Studios Isn't Just for Big Kids! Universal Studios Isn’t Just for Big Kids! For moms of preschoolers, planning a trip to Orlando, Florida usually involves that one place with everyone’s favorite mouse. But what do you do if your kiddo isn’t into space rangers and goofy dogs?! You plan a trip to Universal Studios instead. 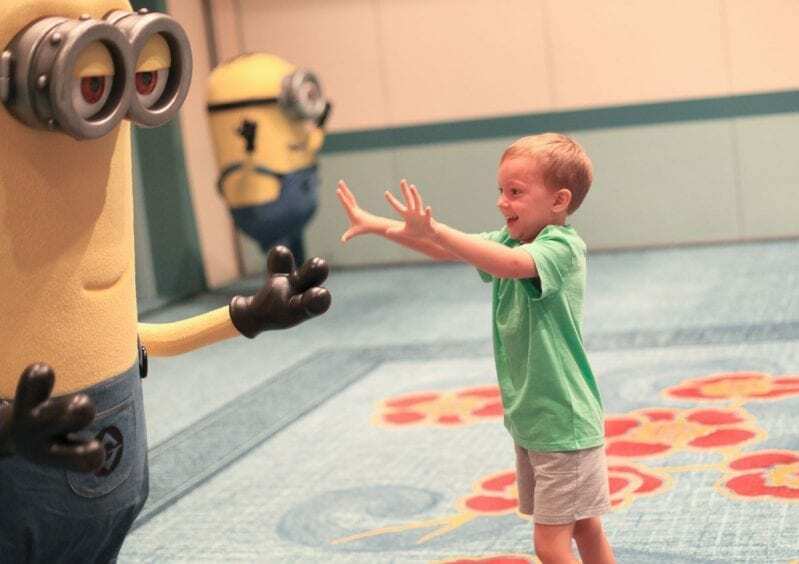 Universal Studios Resort is just as much — if not MORE — fun with young children! 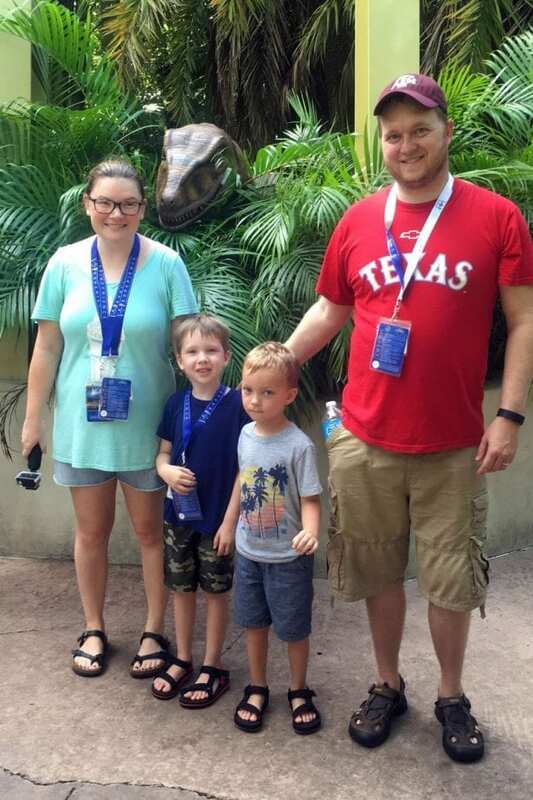 We recently visited with my four-year-old son and five-year-old nephew as part of Family Forward, a conference for bloggers and their families. From Minions to super heroes, Universal Studios goes all out when it comes to character meet-and-greets. Get a glimpse at your favorite Autobot, X-Men, Curious George, Dora, Diego, and more! You can even meet a velociraptor (watch out, she bites!) under the direction of a their trainer in Jurassic Park. 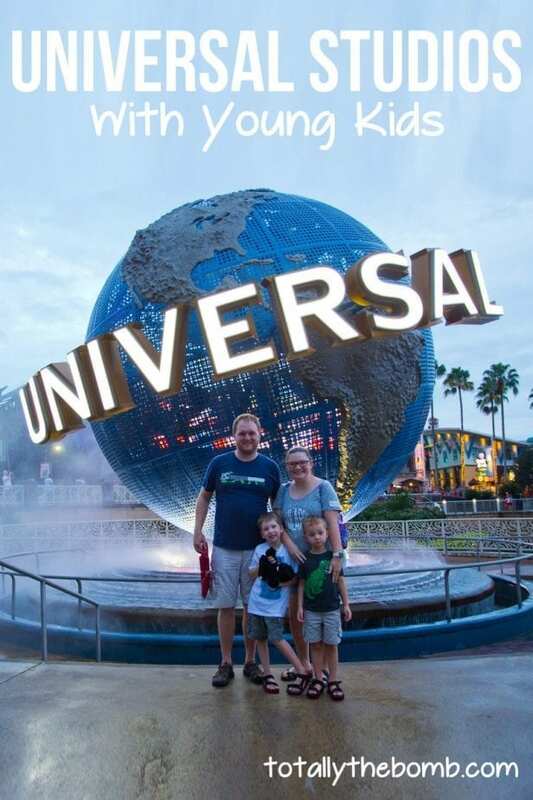 There are so many amazing rides in Universal Studios and Islands of Adventure with kids in mind. Glide along in Pteradon Flyers, take off on the Flight of the Hippogriff, and become a Minion in Minion Mayhem. 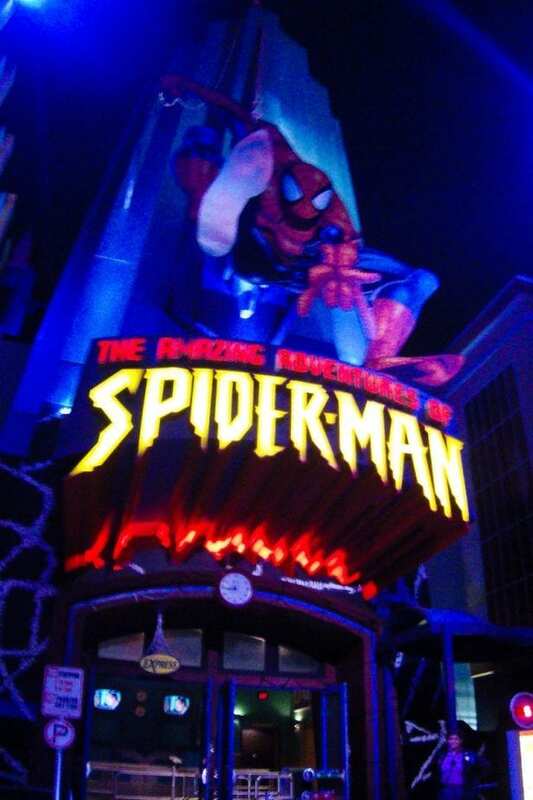 And don’t forget the Amazing Adventures of Spider-Man and Transformers: The Ride 3D, which are perfect for kids who’ve grown to love those heroes. Those rides are very immersive, so we did have to warn our kids to take off their 3D glasses if it got too scary. But they loved the rides! My son says his favorite part of Universal Studios was riding the Hogwarts Express. You can take the train between the two parks, connecting the Wizarding World of Harry Potter: Diagon Alley to Wizarding World of Harry Potter: Hogsmeade. And it’s not just a train ride! No spoilers, but you get an interactive experience on the Hogwarts Express, and it’s different in both directions! Visit Ollivander’s Wand Shop to choose a wand — there’s even a ceremony where one child gets to experience the magic of finding their wand, just like in the movies! Then venture into Diagon Alley and Hogsmeade to find spells all around that are activated by your wands. 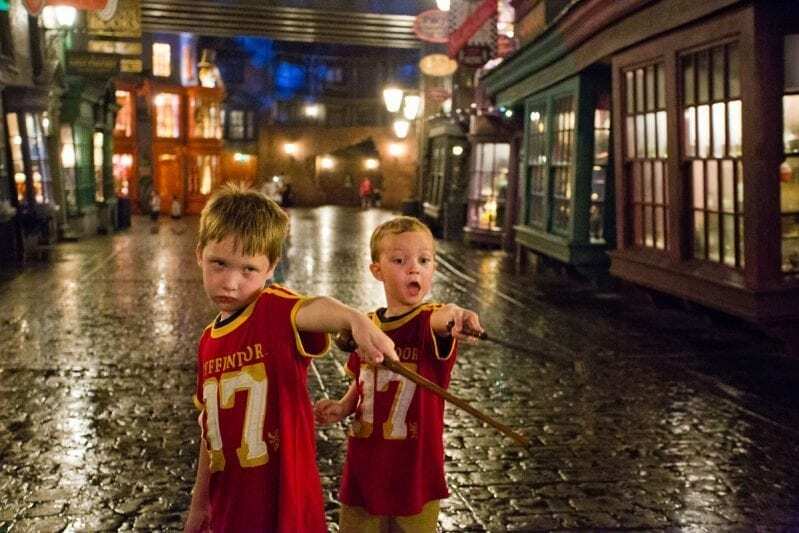 We spent hours wandering the streets in search of these spells, and the boys had SO MUCH FUN. My son kept asking me, “Is this REAL?” Just watching them love the magic was my favorite part of the trip. We stayed at Loew’s Royal Pacific Resort, which was a BLAST! The island-themed resort has luau’s, and amazing pool, delicious restaurants, and more! Enjoy dive-in movies as a family, or relax while you’re kids visit the kids club or game room. As a resort guest, you can also visit other Universal properties to enjoy their amenities. We loved the lazy river at Cabana Bay Beach Resort and spent a whole afternoon there! The Hard Rock Hotel plays music underwater in the pool — kids will LOVE that! Plus, you get early park admission to the Wizarding World of Harry Potter — one hour before the park opens! And you receive fast passes with your stay, so you can skip the line for your favorite rides. 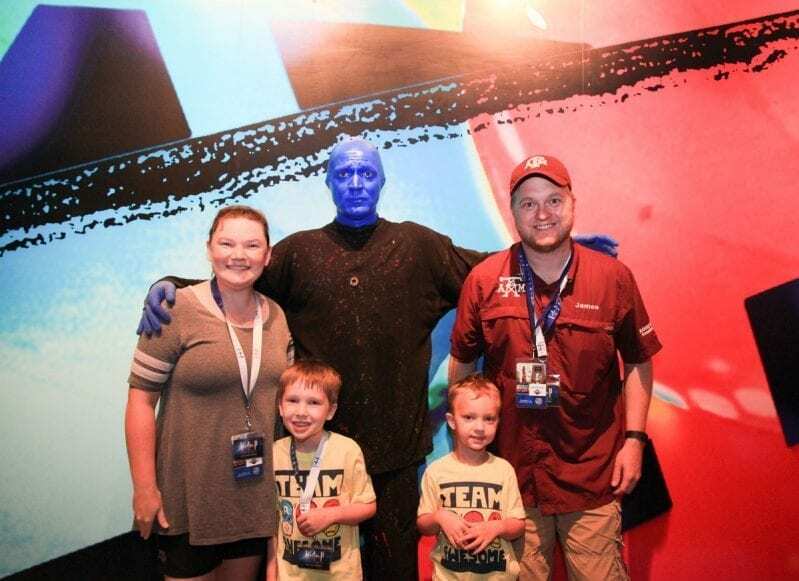 The boys LOVED seeing the Blue Man Group! I was a bit afraid it would be too loud for them, but the lights, music, jokes, and more were perfect! They loved every minute! Stick around after the show for photo opportunities with the blue guys and their band. Get tickets and learn more about the show here. There’s nothing quite like the experience of Universal Studios. Our family had an amazing time. Planning a trip for adults?! You won’t want to miss Halloween Horror Nights at Universal Orlando! My husband and I loved it.